Welcome to the section of my website dedicated to my non-musical hobbies: guns and motorcycles. Very little will be stated about my firearms (for PC and governmental reasons), but I'll tell you LOTS about my motorcycles. I'm not exactly sure which hobby I prefer the most between the motorcycles and guitars, but, the last few years, I haven't spend much time with either of them. I've been busy with my regular job, teaching, the rentals, and the farm, so I don't have much time for other things, yet. Hopefully, in the near future I can get back to the hobbies I've loved in the past. 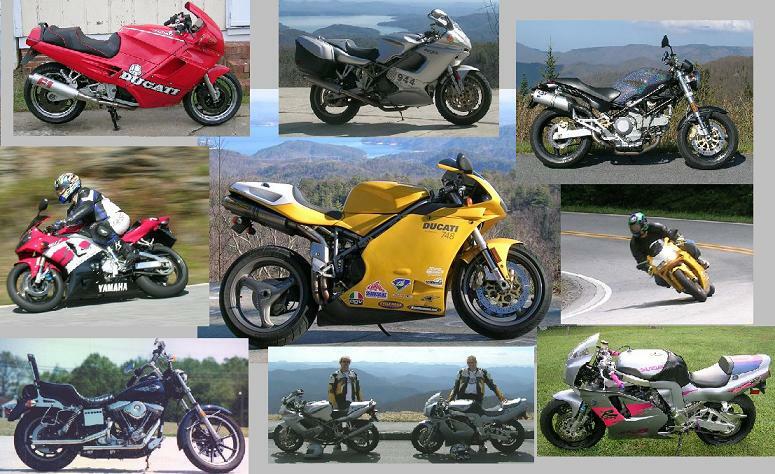 Above is a collage of several of the bikes that we have. It's not all of them. To read more about each of our bikes and to see more pictures of them, click on any of the links below. 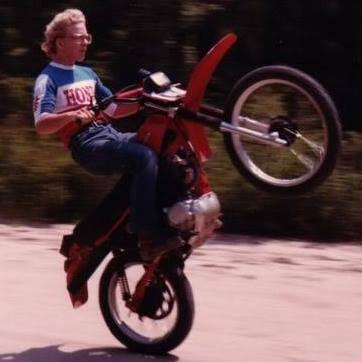 If you are interested in seeing what my first street-bike looked like, click here... My First Street Bike. Back to the Desmo Demon Homepage.